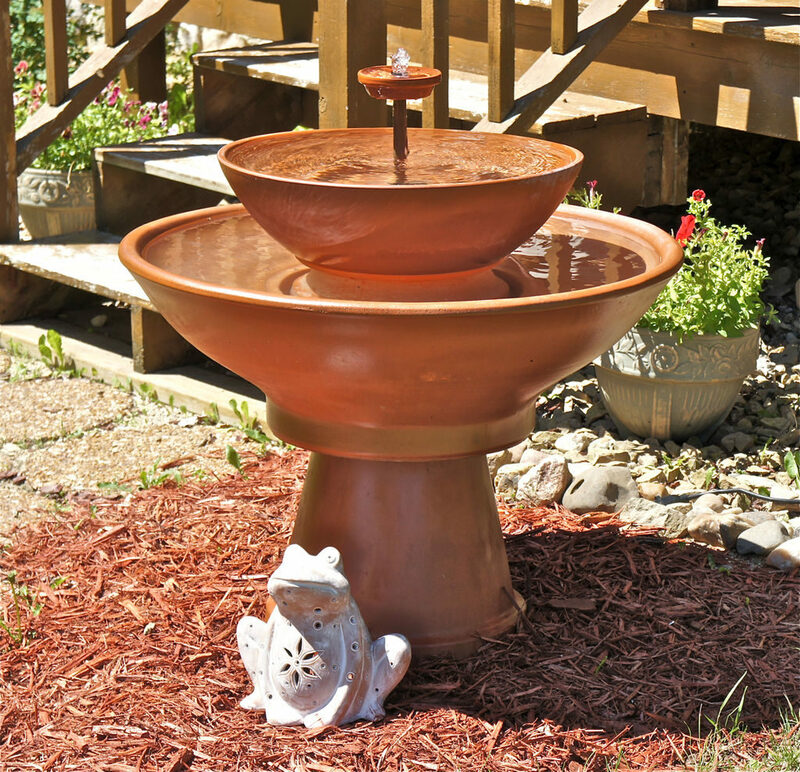 Water fountains are a surefire way to make your backyard look magical and special. 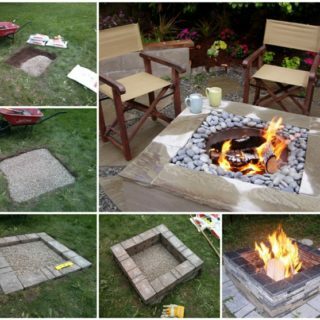 We know a lot of thought goes into planning out your garden but at the end of the day, all it takes is one unique element that defines the whole space. 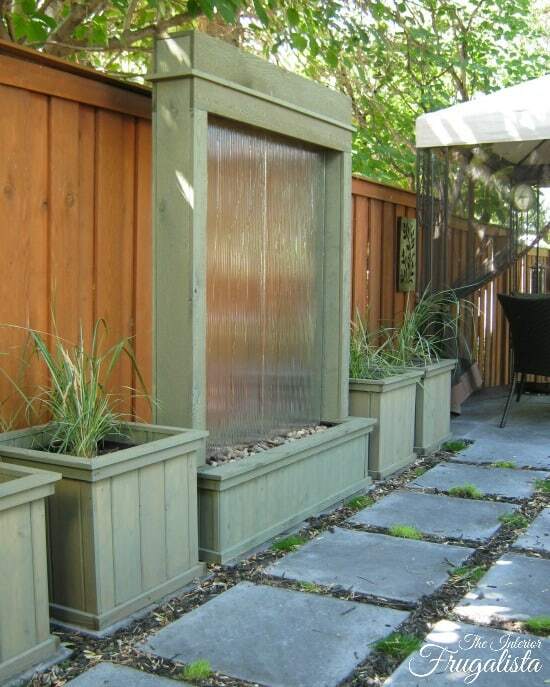 Because water is a natural element, it fits with the plants in your garden and emphasizes the beauty of the outdoors. 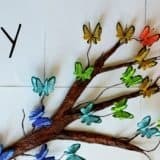 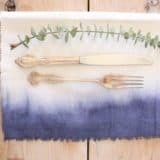 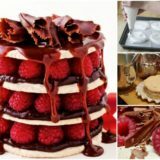 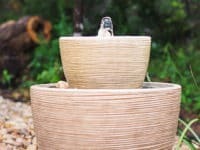 If you want to bless your backyard with a water fountain, you’re welcome to check out our roundup of DIY water fountains! 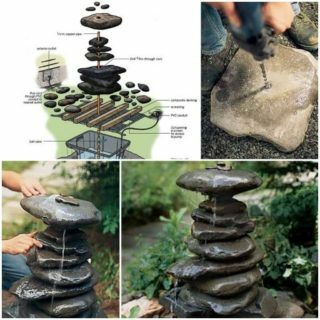 The kind of fountain that you’re always admiring at your favorite park can easily be built for your own garden as well!, thanks to Lowe’s! 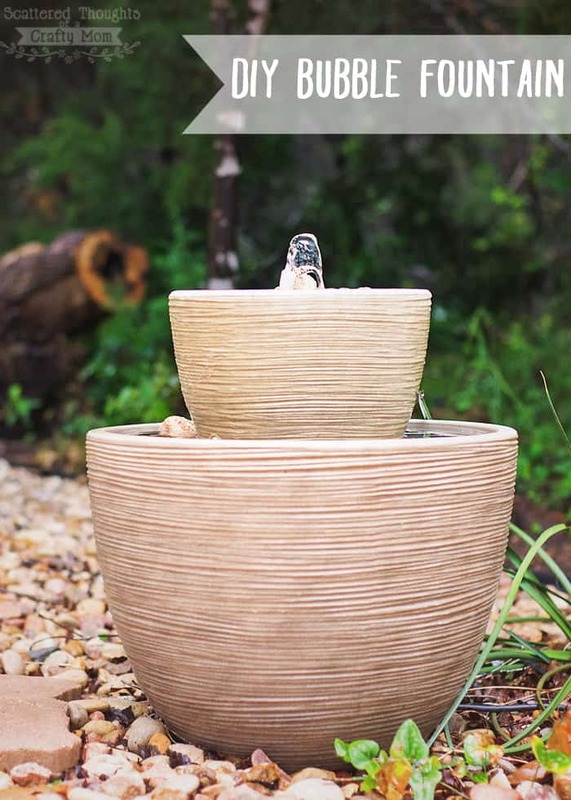 The two-tiered look is a very special and dignified one, giving the fountain a majestic appearance that instantly makes it a centerpiece of your garden. 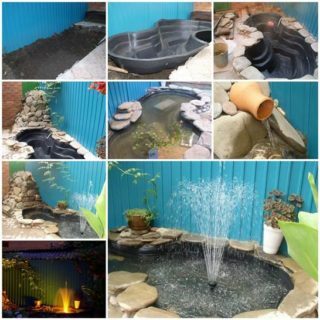 Imagine walking out of your house into your garden and seeing a little pond! 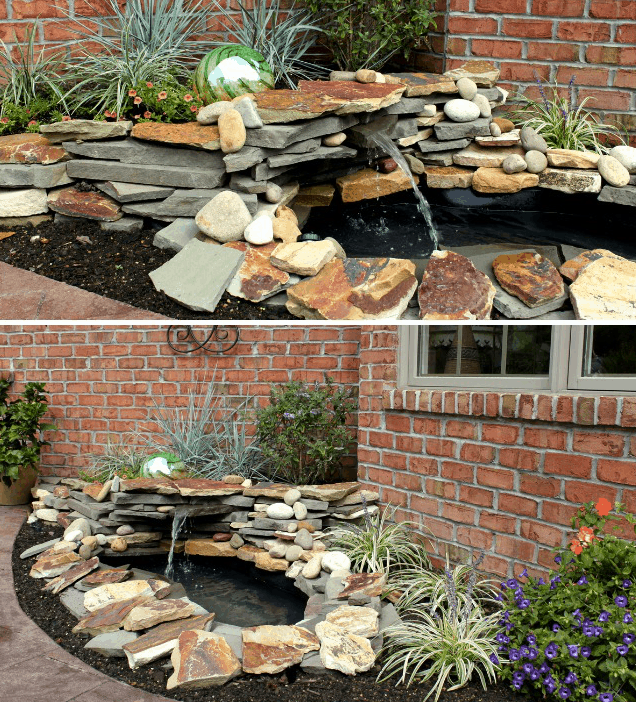 It almost sounds too magical to be true, but with the guidance by Oh My Creative you can actually build a pond-like water fountain for your outdoors. 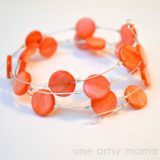 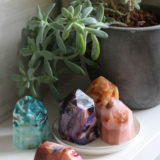 It’s going to have a completely natural look thanks to the big stones! 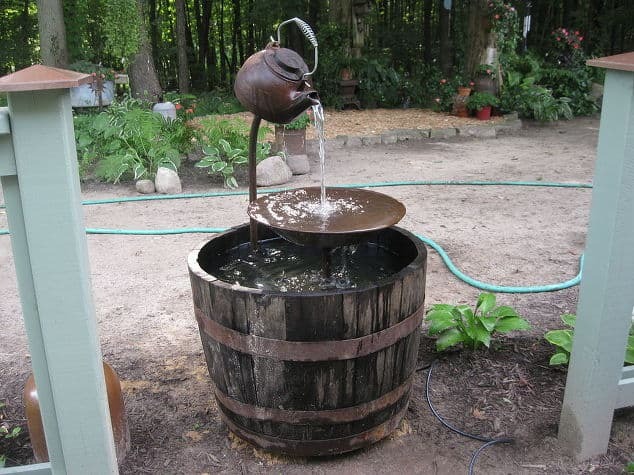 If you have a few planters of various different sizes that are currently not being occupied by plants, you can use them to create a magnificent water fountain that’s going to give your garden that special element it has been waiting for! 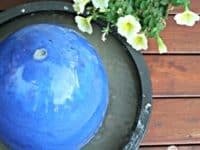 Find out the details at The Interior Frugalista. 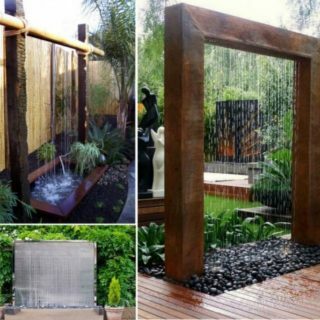 A water wall is the type of fountain that is very elegant. 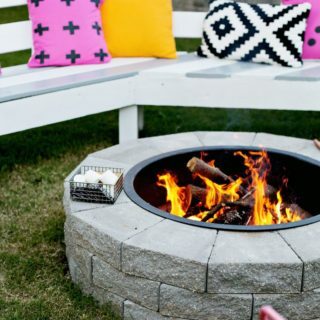 Its narrow look contributes to a sophisticated ambiance in your backyard that’s going to be much appreciated when you’re entertaining guests. 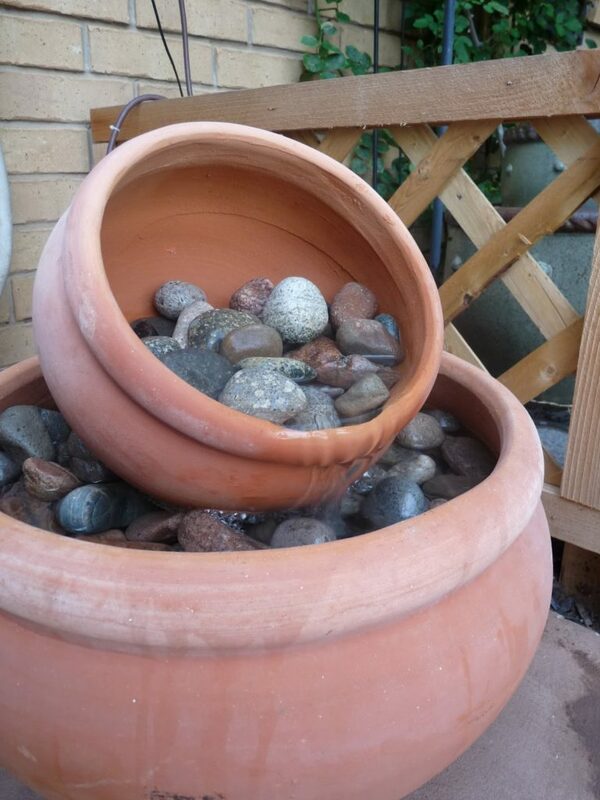 The soft sound of water makes the best background noise! 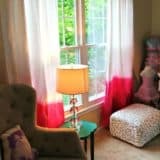 Visit The Interior Frugalista for the tutorial. 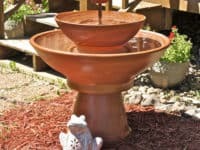 If you want to spice up your backyard with a water fountain that has a significant vintage charm, we found the perfect one at Hometalk! 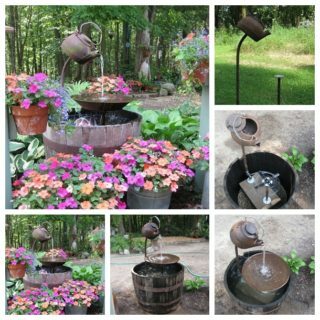 The old-fashioned tea pot definitely makes for an unexpected element that’s going to give the whole fountain a whimsical appeal! 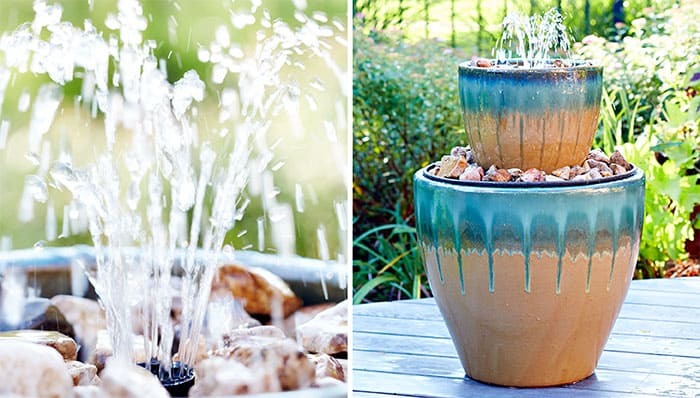 Your water fountain doesn’t have to have an orderly look at all – it can totally seem playful and lively! 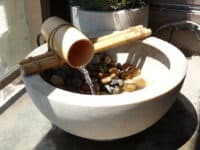 The tilted pot water fountain we encountered at The Happy Homebodies is a great example of how incredible an element can look when you allow it to be a bit unusual! 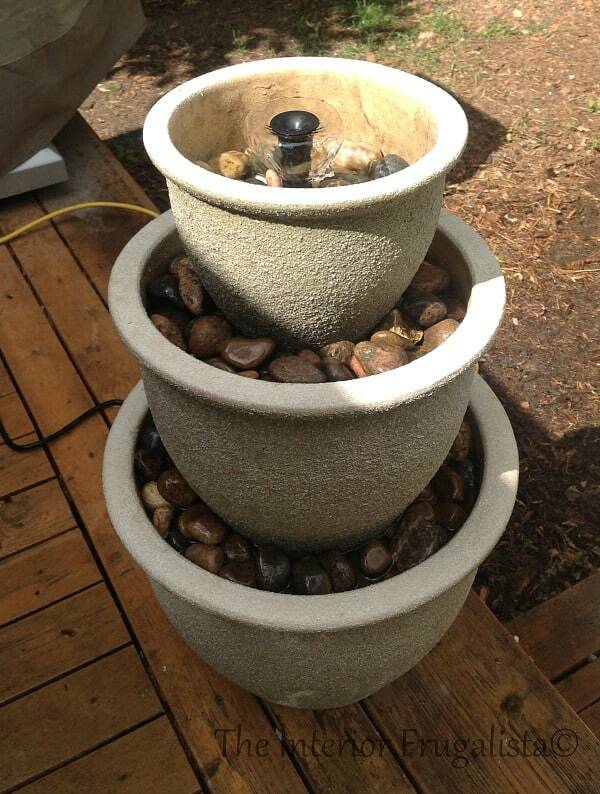 Your water fountain doesn’t have to be giant to get praise and recognition. 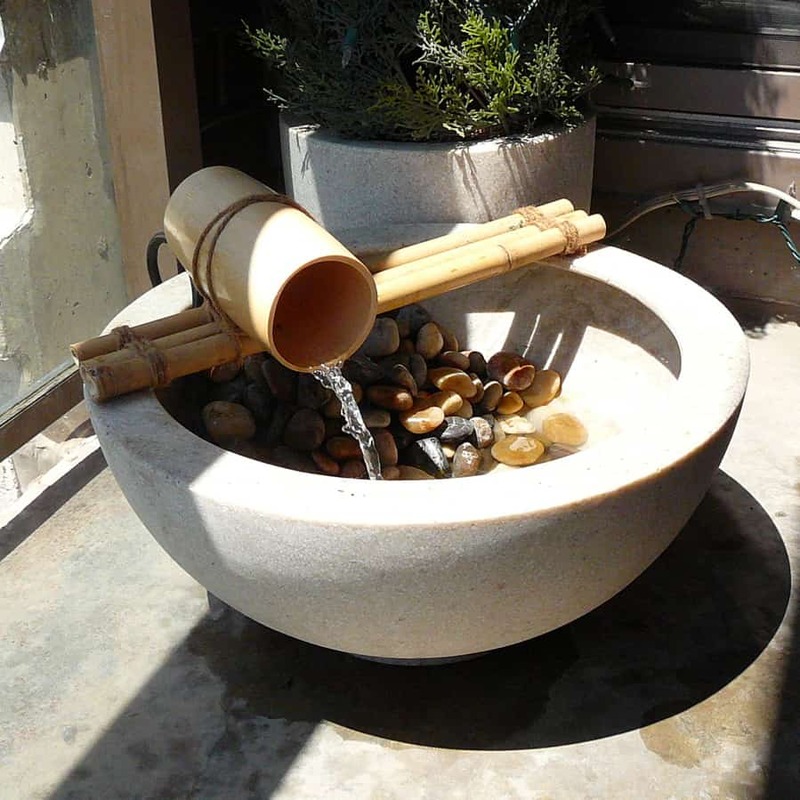 Smaller fountains can definitely have a great impact, especially when they’re radiating such a peaceful and serene energy as the bamboo water fountain shared by Saf Affect! 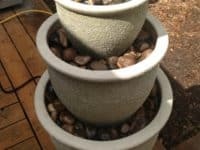 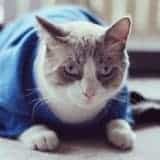 Slowly but surely, concrete is gaining in reputation as people are finally starting to notice the beauty of neutral color tones. 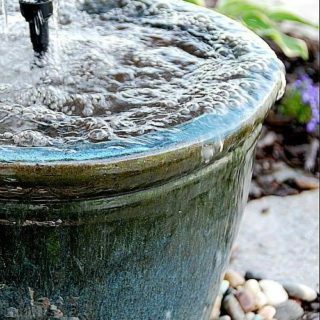 We love this concrete water fountain by At Charlotte’s House; it charmed us with its simplicity and we know it has the power to bring a whole new level of tranquility to your garden. 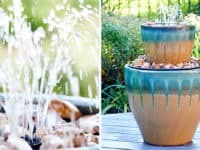 Terra cotta planters and bowls are the main superstars of Tinker Jim‘s water fountain project. 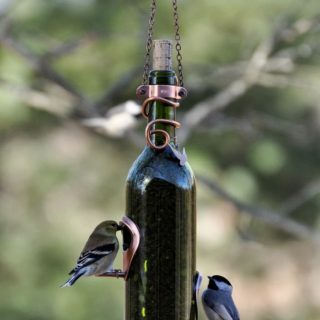 Their familiar color, that highly resembles copper when it’s illuminated by the sun, is what’s going to make your garden feel like a very friendly and welcoming space! 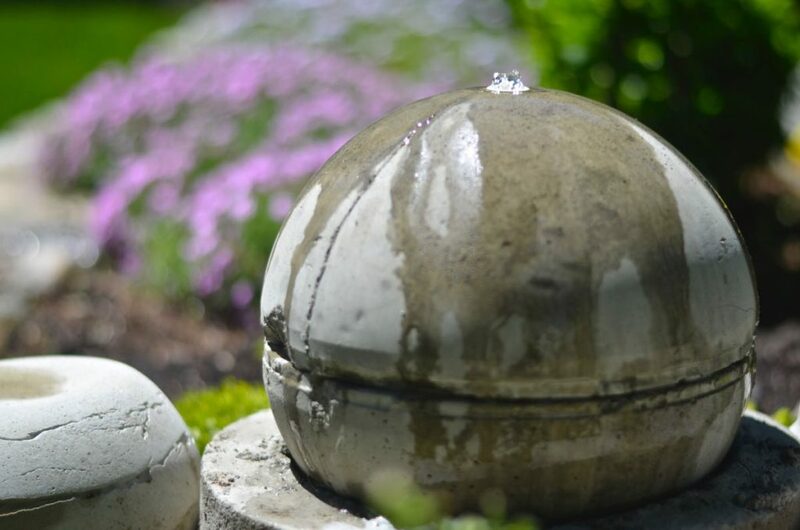 Many water fountains have a sphere in them, resembling the kind of fountain you might see at a temple or a spiritual sanctuary. 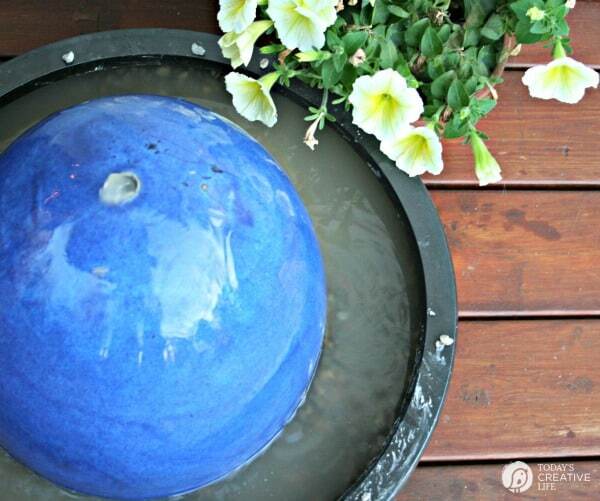 Bring good vibes into your backyard by building a sphere water fountain with Today’s Creative Life lending you a helping hand! One could argue that the greatest benefit of the water fountain is that you can always hear the gentle trickling of the water when you’re relaxing or tending to your garden. 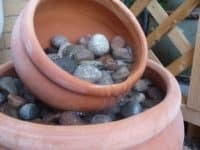 Jamie Sanders shares a tutorial for a gorgeous bubble water fountain that you’ll soon consider an irreplaceable element in your backyard!